Nearly one year on, police filed charges in relation to the death of a seven-year-old Wisconsin boy who was buried alive in snow as a part of grueling punishment for not being able to recite 13 bible verses. The death of Ethan Hauschultz has led to the arrest of three, including a teenager and Ethan's court appointed guardians Timothy Hauschultz and Tina McKeever-Hauschultz. The Manitowoc County Sheriff's Office also arrested a 15-year-old, who allegedly oversaw Ethan's torture in the hours leading up to his death. “ Over the course of 1-1.5 hours, the 15-year-old hit, kicked, struck and poked Ethan numerous times. He repeatedly shoved Ethan to the ground and rolled the heavy log across Ethan's chest, ”the release continued. “He stood on his body and head while Ethan was face-down in a puddle. He ultimately buried Ethan completely in snow. 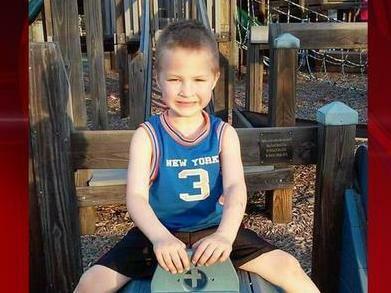 Timothy and Tina eventually transported Ethan to the hospital where he was pronounced dead. A man, injured during clashes with French police, is given help during a demonstration in Paris, called by the yellow vests (gilets jaunes) movement in a row of nationwide protest for the tenth consecutive Saturday against high cost of living, government tax reforms and for more "social and economic justice . " Bangladeshi army personnel drive a military vehicle through a street adorned with election posters near a polling station in Dhaka. Bangladesh headed to the polls following a week-long campaign that was dominated by deadly violence and allegations of a crackdown on thousands of opposition activists. Egypt's Prime Minister Mostafa Madbouli speaks to journalists as he arrives at the hospital where Vietnamese victims of attack on a tourist bus where, in Al-Haram district in the Egyptian capital Cairo's western twin city of Giza. – Three Vietnamese holidaymakers and an Egyptian tour guide were killed on December 28 when a roadside bomb hit their bus as it traveled close to the Giza pyramids outside Cairo, officials said. Firefighters work on site where a large explosion occurred at a restaurant in Sapporo. According to local media reports, an explosion that triggered a fire occurred at a restaurant in Sapporo in the evening of 16 December. At least 20 people have been reported injured and taken to hospitals. Mr Hauschultz has been charged with felony murder, and five other charges. Ms McKeever-Hauchultz has been charged with failing to prevent bodily harm, and intentionally contributing to the delinquency of a child. The 15-year-old has been charged with first-degree reckless homicide and six other charges. In an interview with police, local media reports the teenager told authorities that he did not do anything that would have cause bodily harm to his Ethan, but he did say that he struck him around 100 times. He also admitted to burying Ethan “in his own little coffin of snow”.